The Le Grand Bornand Tourism Website is excellent for providing up to date information on events and entertainment that takes place in the valley throughout the year. There is an excellent programme of activities available for all ages with winter and summer sport events, arts festivals and music concerts to enjoy. 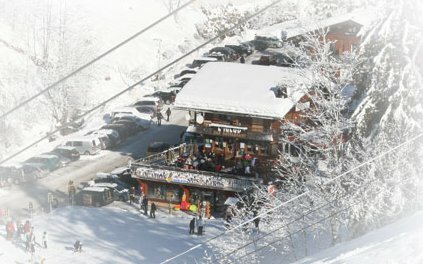 The ski resort of Le Chinaillon offers a number of good shops from which to hire equipment for your vacation. We have a good relationship with many shops but if you stay at the apartment, then you’ll be eligible for a 10% discount on ski hire with Patrice at his ski hire shop, Reves d’hiver, which is situated underneath the Igloo bar by the main Chatalet and Floria ski lifts. Patrice and his team have a wide range of skis and equipment for hire, including adult skis, children’s skis, snowboards and mini skis. The store is conveniently open every day from 8.30am to 7.00pm and they have lockers available in the shop so you can leave your boots and skis/boards to dry at the shop overnight.